This page you'll find Jolla Mobile Manual PDF. Jolla was formed by former Nokia (Manuals PDF page) employees. The idea was to develop a startup idea platform MeeGo - Nokia's own independent development, which found expression in the N9 smartphone, released in 2011. For this purpose, the Entity Finnish company, which was founded in March 2011, was renamed Jolla in October of the same year. The word "Jolla" Finnish language can be translated as "small boat" or "lifeboat." The name on a plan of founders was intended to emphasize the "rescue» Nokia mission of former employees who wanted to return to MeeGo and "keep the spirit of" the life of the Finnish company. At first, the young company operated under the patronage of Nokia's Bridge program, whose task was to help the former employees of the Finnish manufacturer, have lost their jobs. 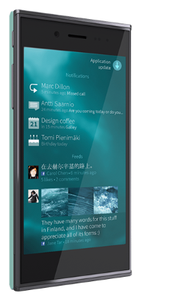 Jolla transferred all rights to the design and development of the MeeGo platform. Young startups got to work, choosing as its slogan the phrase «Do. Unlike ». The best practices and ideas MeeGo gradually began to take shape in the new OS, which was called Sailfish. The platform received open source-structure It is based on the linux kernel. 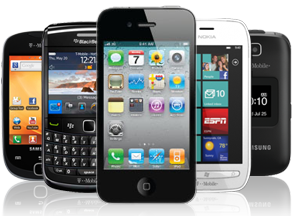 As the benefits of the new operating system creators called compatibility with Android (which means that the platform can run all the applications Google release OS), multi-purpose nature of a number of features of the interface, including the ability to manage all applications from a single menu screen without starting all at once. November 21, 2012 in Helsinki, the first public announcement of OS Sailfish. 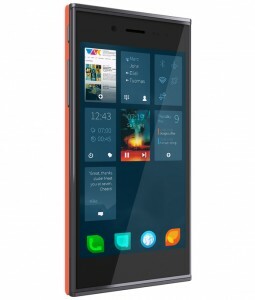 At the recent MWC 2015 exhibition unveiled Jolla engineering sample device, and a second version of the OS Sailfish. It is a device of the Finnish company got the main award in the category «Mobile World Congress 2015 Best Tablet". The cost of the 64-gigabyte version of the Jolla Tablet for participating in dripping will be $ 249. Start device shipments scheduled for May of this year.